Superior Auto Glass has been providing professional auto glass repair in Bend, Redmond and throughout Central Oregon since 2002. As a full service auto glass repair service we bring the glass to your location and repair your vehicle on site. We offer windshield replacement, window glass replacement and rock chip repair for all types of vehicles. Our auto glass technicians have nearly 30 years combined experience in the business, meaning there is no glass that we can't replace! Our services are completely and we're happy to bill your insurance company to help keep your cost low, or even free! Call Superior Auto Glass today at (541) 435-2601 to request a free estimate or schedule an appointment for auto glass repair or windshield replacement in Bend or the surrounding communities! 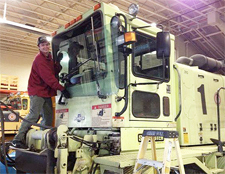 Superior Auto Glass in Bend is a family owned and operated business. We strive to exceed the expectations of our customers at every job, because you're our friends and neighbors and we understand the importance of outstanding customer service. When we come to your location you can rest assured we will fix your auto glass quickly and and be on our way. We offer senior and military discounts to those who qualify and we work with everyone's insurance so that we can make sure we return your car to a safe conditions fast and affordably. No matter what kind of vehicle you drive, we can fix its glass! 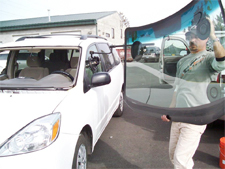 When you need windshield repair, auto glass replacement, motorhome glass or rock chip repair in Bend call Superior Auto Glass at (541) 435-2601. "These guys did a great job on my Blazer for a very fair price at my place of employment in Sisters, OR. They got my crusty windshield visor off the top and back on without breaking it, and they were even thorough enough to put sealant around the bolts so I don't get rained on. I would recommend these guys to anyone without hesitation."